Town & Country Tax Consultants Inc. | SOMA Consulting Group Inc.
Town & Country Tax Consultants Inc.
RS 2000 Tax Consultants Inc.
North West Tax Consulting Inc. Seeing Us May Be The Best Financial Decision You Have Ever Made! Founded in 1998 Town & Country Tax Consultants has grown to over 1200 Farm, Personal and Small business clients and over 300 corporate clients. 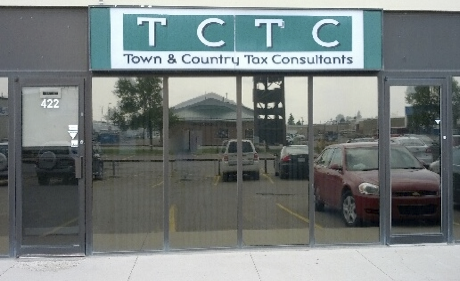 TCTC provides services to rural communities with in home service and satellite offices in Cupar, SK & Esterhazy, Sk. Our 4 tax consultants offer over 100 years of experience. We’re committed to helping you with all your income tax and accounting needs. If you are looking for high quality, personal service, you’ve come to the right place. TOWN & COUNTRY TAX CONSULTANTS will give you the attention you deserve and personal service you’ll come to expect and enjoy! TCTC exists to make valued contributions to our client’s farms & businesses. This will be achieved by providing services that exemplify the highest standards of quality, performance, and service. Having staff with experience, imagination, knowledge and people skills are paramount in a successful implementation of these goals. We are a proud member of the SOMA Group of Accountants. Our consultants are able to access the expertise of a large network of tax specialists, providing you with concise answers to complex questions involving intricate areas of the Income Tax Act. You now have access to over 120 years’ experience dealing with CRA and other government agencies. We will help you to reduce your tax liabilities by assisting you in your long term income tax planning. Our expertise and knowledge will allow you to maximize your available credits. We will assist you in any business re-structuring to allow for income splitting and marginal tax rate maximization. Using both our up to date tax software and our in depth knowledge of taxation, we are able to ensure accuracy and reliability when we process your returns. We offer a complete bookkeeping service tailored to your business or farm needs. We can provide you with a comprehensive package including balance sheets, income statements, budget projections and ledger reports. We are the authority on both AgriStability and AgriInvest. Our expertise will ensure that your forms are completed accurately and timely. Our professional relationship with the administrators of new programs allows us to provide the most comprehensive representation available, should any problems arise. Our consultants are available year round to answer your questions. A toll free phone service is provided to assist at no additional cost.